Drafts are a common issue in many homes. This problem can cause hot and cold spots throughout your home, and it may require you to crank the thermostat to achieve your desired temperature. Sealing your windows can mitigate many air leakage issues and even help you save 10-20% on energy bills. Talk to a professional contractor about these draft reduction methods to create a more efficient and comfortable home environment. Caulk is a filler or sealant used around windows and doors to keep air inside. 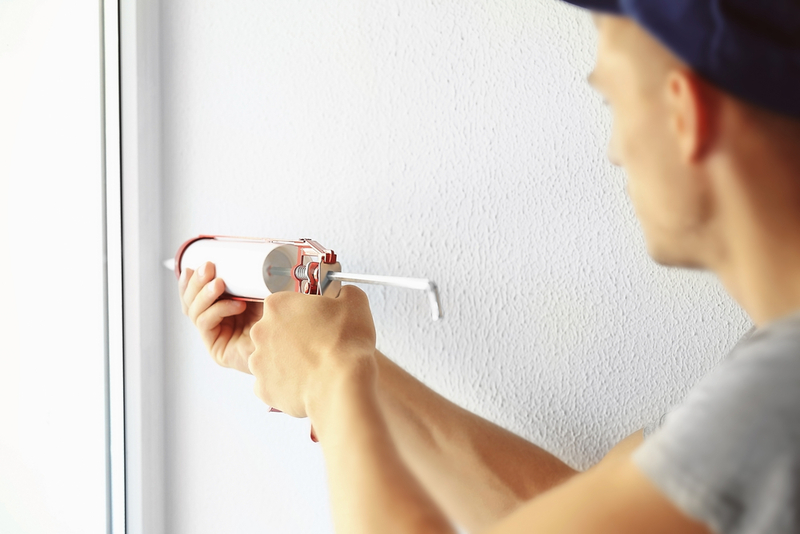 If you struggle to work with caulk, a contractor has the necessary experience, skills, and tools to perform this job with ease. They’ll apply a professional-grade waterproof latex caulk to keep your windows tightly sealed. You can also add an insulating plastic film for extra protection. One easy, low-cost way to reduce drafts is by putting a barrier underneath exterior doors. You can use towels or buy draft guards from your local department store. Call your window repair service to find out what products they recommend for your home. Unfortunately, no matter how you treat old windows and doors, they may not hold up against strong winds. In that case, it’s a good idea to replace them with newer, energy-efficient models that can save you money on utility bills and reduce your carbon footprint. Your window contractor can help you navigate through a variety of styles and pricing options to make the right decision for your needs. Keep your home comfortable and draft-free with help from Shepard’s Glass in Kalispell, MT. They are the area’s top contractor for all glass door and window repairs and installations for residents and businesses. Their team of highly skilled contractors tackles a variety of jobs from bathroom windows to establishment storefronts, and they’ll work with you to meet your needs at a price that fits your budget. Give them a call at (406) 755-4540 or visit their website for more information.